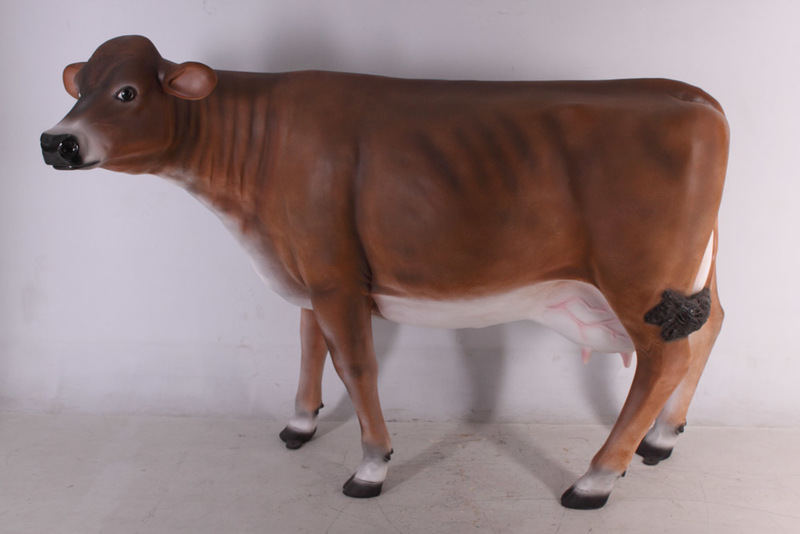 Our life-size resin Jersey Cow model in a smooth finish no horns would be a real head turner. This model is in the head up pose and no horns and would look great in a mini herd! 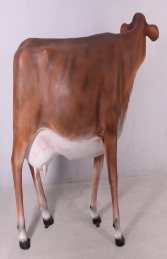 This super, life-size, fully 3d, model Jersey Cow is ideal for farmyard areas, for outside your farm-shop or just to go in the garden to confuse the neighbours! Of course the Jersey Cow looks wonderful in combination with one of our other life-size farmyard animals, Cows and Calves in our range. 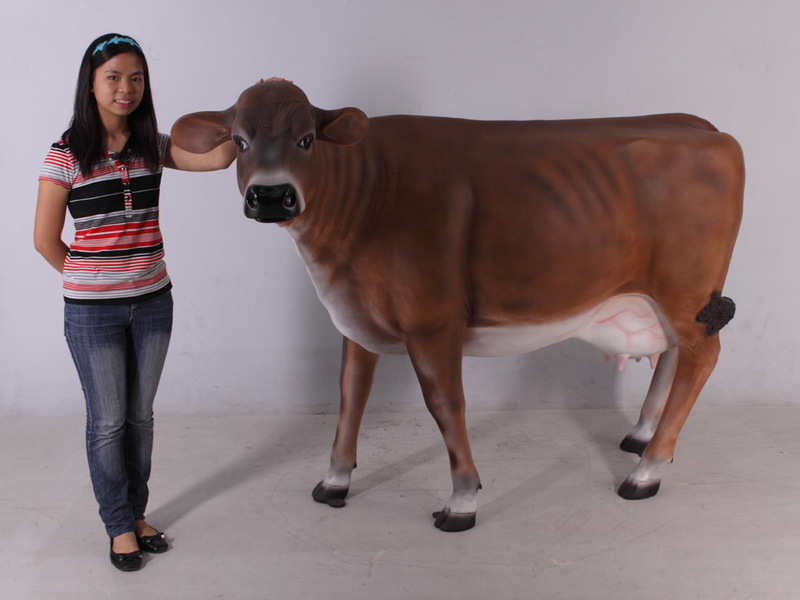 This durable resin and fibre-glass Jersey Cow figure is available in Friesian Holstein black and white or can be painted in other cattle breed colours, eg. Charolais or South Devon to order.